Are you not ranking as high as you’d like? Check out this step-by-step instructions on how to implement the topic clusters model on your blog with their basic importance. Are you not ranking as high as you’d like? Well, it comes down to the fact that search engines have changed their algorithm once again. And everybody knows that any algorithm change brings about a new SEO strategy; the topic clusters model is the latest evolution of such strategies. Are you finding that you’re creating great content but you still aren’t ranking? Ultimately, it’s all about the way your content is developed and organized (more on this to come). Enter the topic clusters model. The old way of creating a bunch of different blog posts around the same target keyword is not working anymore. The problem is that marketers who find themselves not ranking high enough end up creating even more content in an attempt to rank for that particular keyword. This just makes the problem even worse. As you will see, the topic clusters model is going to increase your search engine visibility and provide a better user experience, not to mention change the way you approach your content strategy forever. 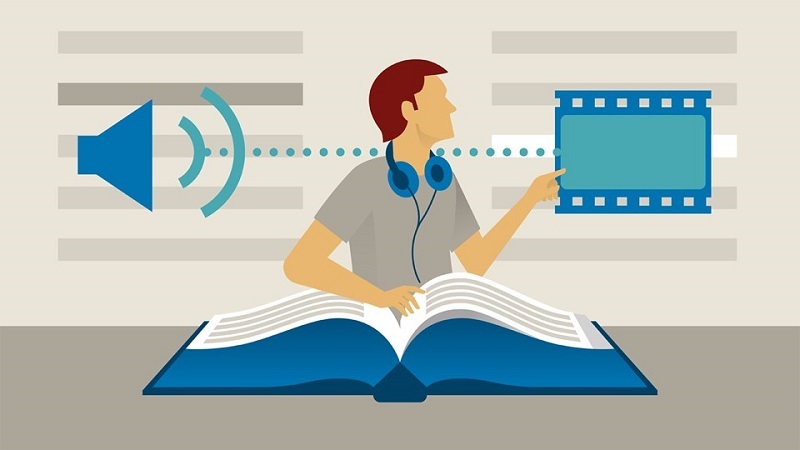 What Is the Topic Clusters Model and Why Is it Important? The topic clusters model is, at its very essence, about the way that you organize the structure of your website and, particularly about the way you organize your content, such as your blog posts. The topic clusters model focuses on topics instead of keywords like classic content strategies, which means that you no longer choose a keyword and then write a bunch of blog posts in order to rank for that keyword. All this does is leave you with a bunch of blog posts with overlapping content and that have to compete with each other. So, where did the topic clusters model come from? The reason for this change is because search behavior is changing. Ultimately, people are now searching in a much more conversational way than ever before. 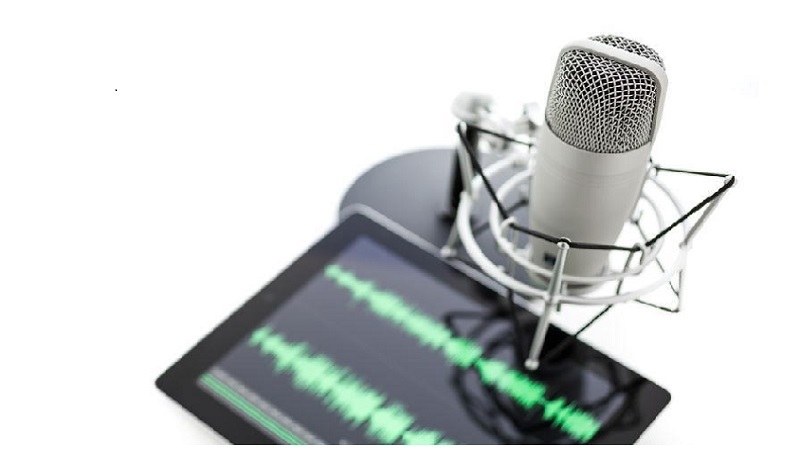 A lot of this has to do with the fact that people are now using voice search on devices like Apple’s Siri to find the information they need. Again, the result is that people are searching in much more of a conversational way. Enter the Hummingbird update in 2013; this meant that Google was no longer analyzing single keywords but rather phrases, ultimately due to these changing search trends. Today, there are thousands of long-tail keyword variations. Gone are the days of a handful of major keywords that you would try to rank for. Again, this is due to the rise in voice and mobile search; people are asking Google more complicated questions. Now, back to the topic clusters model. Ultimately, there are a lot of problems with the way most websites are structured today. They are organized around keywords, which means that sites have so many different blog posts with overlapping content. 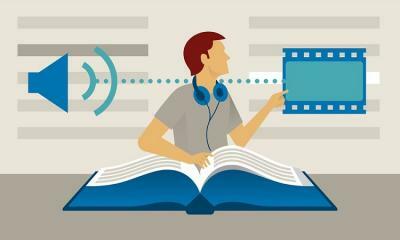 As you will see, this makes it difficult for web crawlers to understand connections between content. Essentially, by creating more content, you are making it harder for crawlers to even find your content to begin with. This is why so many people are not ranking as they’d like to. This sort of structure also makes it much more difficult for actual users to find the information they need. It does not offer a good user experience at all. 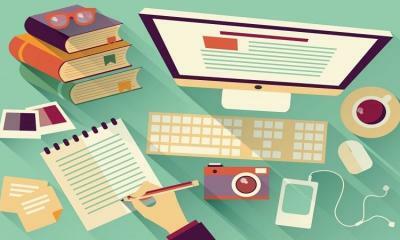 Let’s say you had ten different articles on the topic of how to improve your productivity. Undoubtedly those pages would feature a lot of the same content as well as similar URL structures. As a result, search engines have a difficult time determining how the content is related to each other - search engines can’t crawl your pages quickly. It also means that you wasted time writing different blog posts that are essentially competing with each other. That’s a lot of wasted resources when it comes to producing content. But if you organize your content based on the topic cluster model, your approach to content becomes much more streamlined. Search engines can crawl your website a lot faster. Every time a blog post does well, the entire cluster also increases in the SERPs as a result. In other words, if even one of your cluster blog posts ranks well, all of the other pages that are linked to that same pillar also rank higher as a result as well. If this sounds confusing, we promise that it will begin to make sense once you have a better idea of what the topic clusters model is. If you’re not familiar with this model, it may sound complex, but it’s actually simple. All of the broad topics on your blog will each have their own pillar page. The pillar page is a specific page that will basically provide a broad overview of the topic. Pillar pages are also designed to convert visitors into leads. Let’s discuss what the pillar page looks like in more detail. For example, let’s say that you write a lot about the topic of productivity (in other words, this is a broad topic on your site and you write about the topic quite a bit). The pillar page covers the topic of productivity in more detail. Subtopics on the topic of productivity are referred to as ‘cluster content’ (more on this in a minute). These pillar pages are great for the person who isn’t familiar with the topic but wants an overview. Now, cluster content refers to all of the specific blog posts that cover the pillar page topic (productivity, let’s say) in more detail. For example, cluster content could include blog posts on the Pomodoro method, Productivity Tips from the World’s Most Productive People and so on (keep in mind that cluster content will be based on long-tail keywords). Now, you may be asking yourself: where do the hyperlinks come in? HubSpot has a pillar page (remember - that’s the broad topic) on Instagram Marketing. 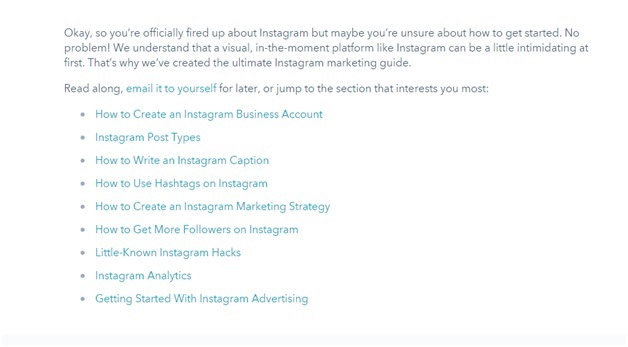 They then have a bunch of cluster content on Instagram Marketing; as you can see, they have a blog post on ‘How to Create a Business Instagram Account’ and ‘Instagram Post Types’ as you can see below. Cluster content also links back to its relevant pillar page. Again, each piece of cluster content, which, again, is a specific blog post, links back to the pillar page. However, also keep in mind that cluster content can also hyperlink to relevant blog posts as well. 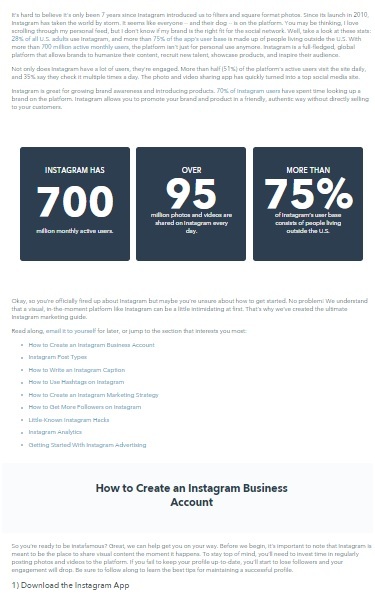 So, in the Hubspot example, their ‘How to Create a Business Instagram Account’ blog post could link to their ‘Instagram Post Types’ since they are both in the same cluster. The result of the orderly structure is that Google ranks the pillar pages higher. And, again, when one individual blog post does well in terms of ranking, all of the blogs in that cluster also rise in the rankings. 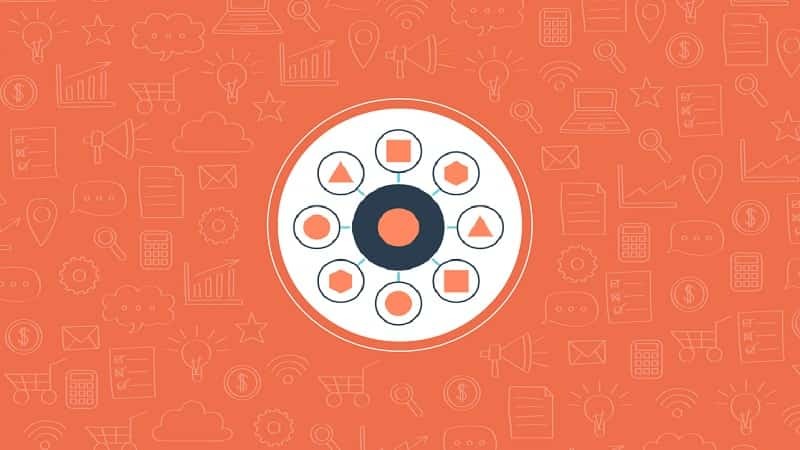 Depending upon the extent of the content on your website, implementing the topic cluster model on your website could be a large undertaking. But, the results will certainly be worth your effort. We have separated each task into different parts: part A, part B, part C and so on. The first part (part A) of implementing the topic cluster model is to examine your website’s content to identify what pages will serve as your pillar pages. Remember that your pillar pages can be thought of as the broad topics on your website. This process will involve auditing your content to determine what content you’ve already written, as well as identifying possible gaps, but let’s not get ahead of ourselves. The first step is to identify the broad(ish) topics on your website that will serve as your pillar pages. You are going to need to keep track of all of this information, so creating a spreadsheet will be a good idea. You will also be using this to keep track of your cluster content as well, but more on that to come. So, how can you identify what topics will serve as a pillar page? You can begin by looking at your website’s categories; this can provide a rough guide as to what your pillar pages should look like. However, it’s important to note your pillar pages will need to be narrower in scope than your website categories. With pillar pages, you will cover the topic broadly, but not too much detail either. If you take a look at the Jeff Bullas blog in the image above, for example, his ‘social media’ category would be too broad of a topic to be a pillar page. The same is true for the rest of the categories as well (i.e. blogging, content marketing and so on). But, this gives you a starting point. Examine each category at a time. Ultimately, looking at the categories on your blog is helpful in that it gives you an overarching framework for thinking about your categories, but these categories will more than likely be too broad. (For those with a particularly extensive archive, one way to approach this is by narrowing down ten of your buyer persona’s problems). To do this, you can use surveys, interviews and so on. The ‘problems’ of your buyer personas will serve as your pillar pages. Another way of thinking about this is that pillar pages are designed to answer basic questions. (Remember, the cluster content i.e. your blog posts will go into more detail). So, while you might have an SEO category on your blog, this would not make a good pillar page because you couldn’t possibly create a pillar page about SEO that could cover the topic in enough depth - it’s far too broad of a topic to do so. So, you need to something choose narrower in scope than simply SEO. The SEO certainly topic certainly provides a starting point, but, again, you need to create a pillar page that is bit narrower. HubSpot has pillar pages on Instagram Marketing and Sales Emails Templates as a couple of more concrete examples. Could you write 20 to 30 blog posts under that particular topic? Here’s another tip: if you’re trying to get that page to rank for a long-tail keyword, it should not be a pillar page (this falls under your content clusters). So, complete the first step by mapping out your pillar pages at the top of your spreadsheet. The next phase of this process is to assess the depth of your content in order to see what cluster content you have to work with (and to develop blog post topics that could serve as future cluster content). First, you want to determine what’s missing - that is, what additional blog posts should you write about that you don’t already have on your blog? Second, you want to identify the duplicate or overlapping content on your website. The purpose of identifying duplicate content is, again, to ensure that you don’t have several blog posts that are all competing with each other. So, how do you determine what’s missing? To determine what’s missing - i.e. to determine content gaps - good ol’ classic keyword research can help with this. Everyone has their own way of conducting keyword research; whether you use a free keyword research tool like Google Adwords Keyword Planner or a paid tool, the process is still the same. Broadly speaking, you want to start by looking at your pillar pages; next, choose relevant long-tail keywords with the highest search volume. These long-tail keywords will serve as cluster content. Then, it’s just a matter of figuring out whether you have content written that pertains to those particular long-tail keywords. This is a broad overview; everyone has their own way of conducting keyword research - do what works for you. However, we will go into more detail about a couple of specific techniques you can use to determine what types of cluster content you should develop. When brainstorming, the idea is not to self-reflect but rather to come up with as many ideas as possible. Once you have developed your list, the next step is to come up with a list of related keywords that you might not have thought about during your initial brainstorming session. A tool like Ubersuggest can help you; all you need to do is enter your keyword into the search bar. So, if your pillar page was ‘Instagram marketing,’ you can enter Instagram Marketing into the search bar and it will come up with a list of additional keywords that could potentially serve as more cluster content. Now you want to validate these ideas through competitor research. For this, SEMrush is a great option. More specifically, you want to use SEMrush to figure out how your competitors are ranking for those keywords to determine possible gaps in their strategy that you can take advantage of. This is simple; all you need to is enter the domain of your competitors and figure outwhat they’re ranking for. The key here is to pay attention to the keywords that your competitors are ranking for but you aren’t but also the keywords that they aren’t ranking for. Type in the name of your competitor in the search bar on SEMrush. Click ‘Organic Research’ and then ‘Competitors’ on the left hand side. This will bring up a list of competitors. You then want to click on ‘Common Keywords’ for the competitor of your choice. This will then bring up a list of keywords. This is SEMrush’s Keyword Gap Tool. The last step in this process is to use something like Google Adwords Keyword Planner to get an idea of search volume and other important qualitative data to help you to your narrow down your list of keywords even further. Again, basic stuff here. You just want to narrow down the keywords that have two high of a search volume or two little and cut them from your list. 2) One other super simple and quick technique to find long-term keywords is to use Google Search. 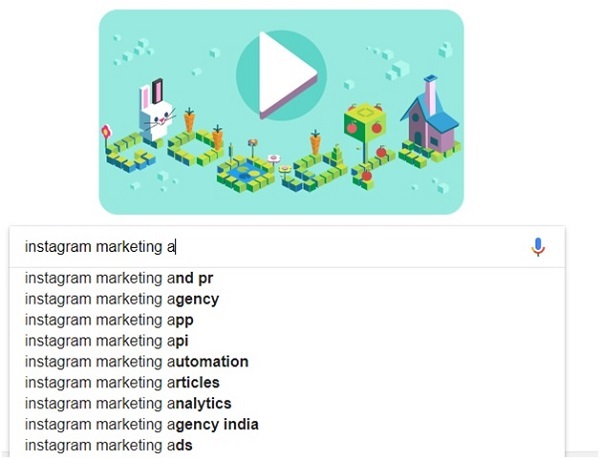 Simply type in your pillar content topic (let’s say it was “Instagram Marketing”) into Google Search and make use of Google’s autocomplete option. 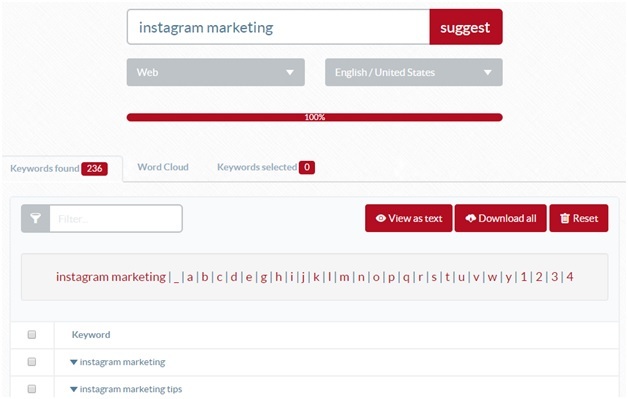 Follow ‘Instagram Marketing’ with the letter ‘a’ and you will come up with a bunch of different long-tail keyword variations that could serve as possible cluster content. You can also work your way through the entire alphabet. Then you want to evaluate your options using Google Adwords Keyword Planner, just like you did in the example above. These are just a few possible techniques when it comes to keyword research, but these are relatively simple and easy ones that take seconds. Regardless of which technique you used, the last step is to take a look at your existing content on your blog to determine whether or not you’ve already written a blog post on that particular keyword. If not, you will need to write one. To keep track of all of your content, you will want to refer to your spreadsheet again (see part A). Under each pillar page, write your long-tail keywords and then link to the blog post if you have a piece of content that matches that particular keyword. If there is no link, you will know that you need to create a blog post that targets that keyword. You can now add any missing content to your editorial calendar. Next, you want to assess duplicate content on your website. For duplicate content, ask yourself: do you have a lot of blog posts on the same topic that are also ranking for the same keywords? If that’s the case, you want to choose the highest-ranking URL and then compile all of the information in those posts into one blog post. The last step is to redirect the other blog posts toward that one post. The next phase is to actually create your pillar content. In some cases you may be lucky enough to have blog posts that function like pillar content already. For example, do you have ultimate guides out there that are also ranking well? Remember, pillar content should serve to answer basic question but still in enough depth. Think of pillar pages as providing a broad overview of the topic. Visitors can learn about the topic broadly and then navigate to the content clusters for more in-depth information on that particular topic. Keep in mind that pillar pages can also focus around specific tools as well. 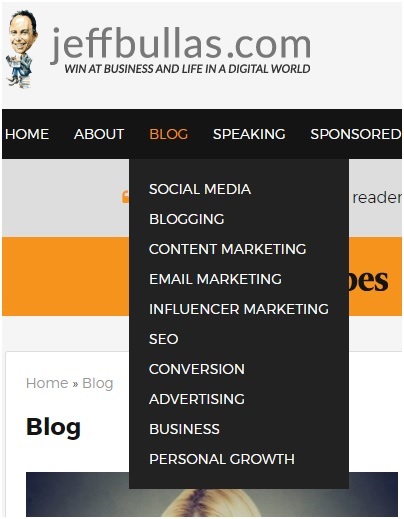 For example, HubSpot has a pillar page on the topic of HubSpot’s Blog Topic Generator tool. Pillar content centered around the topic of tools is the evergreen topic and also tends to get shared a lot. But, for the most people, pillar pages tend to center around covering the broad topics of your website as detailed above. Again, in some cases, you may have already have blog posts that already fit the pillar content description. But if not, you will have to create those pillar pages. So, what does a pillar page look like, exactly? Pillar pages look like any other “ultimate guide” blog post. Think at least 5000 words. There are lots of headings, screenshots and so on. This particular pillar page was over 8,000 words, so, again, keep in mind that while pillar pages are not meant to be overly detailed, they should cover the topic in a broad sense. Take a look at your current content and see whether or not you have any blog posts that fit the description of a pillar page (or perhaps any blog posts that have the potential to become pillar pages with more content added to them). Again, this is meant to be useful to the reader; they can get a broad overview of the topic and then explore specific topics in more detail. You can use your spreadsheet to indicate whether or not you will need to create a new pillar page or not. Once you have created your pillar page, ensure that you update your spreadsheet with the link to the pillar page. This will be useful once you have to link to your pillar pages in the next section. Now that you have created a new hierarchy for your website, assessed all of your content, created new pillar content (if necessary), one of the final steps in this process is to link these pages together. Again, this linking action tells crawlers that content is related, which makes it easier for web crawlers to understand connections and ultimately rank higher as a result. The first step is to go through each blog post and remove all of the previous internal hyperlinks contained in any of these blog posts. Next, you want to replace the internal links that you just removed with a hyperlink to the relevant pillar page instead. One important thing to note here is that each cluster page links to the pillar page with the same hyperlinked keyword. You can also link to other relevant content within that particular content cluster as well. This is simple stuff but can take a lot of time. At this point, you understand what the topic clusters model is and how to implement it. But how do you update your editorial calendar? We’ve established that you will no longer be creating a bunch of different blog posts all on the same long-tail keyword. Essentially, now it all comes down to using keyword research to determine the appropriate keywords that will serve as a single post (see part B). If you don’t have content that meets these criteria, you will need to create new content. Add to your editorial calendar accordingly. The last and final step when it comes to implementing the topic clusters model is to put systems in place so that when you go to create your editorial calendar, you will be able to keep track of your links much more easily. Remember: you need to keep track of all of the long-tail keywords you’re targeting, their relevant blog posts, links and so on. So, you definitely need a spreadsheet to keep track of it all. Times are changing. If you want to expect to rank, you have to start thinking about approaching your content and website structure in a way that reflects these trends. This means implementing the topic clusters model. Arash Asli is at the forefront of business growth helping SMBs grow theirbusinesses, as CEO of Yocale.com, an online scheduling and marketing platform. His thought leadership has been featured in major publications including Forbes, Huffington Post, and Inc. He is honored to have been named the Business in Vancouver's Top Forty under 40 business executive.